Design Builders, Ltd. is a licensed, bonded and insured general contracting company with 30 years in the industry. 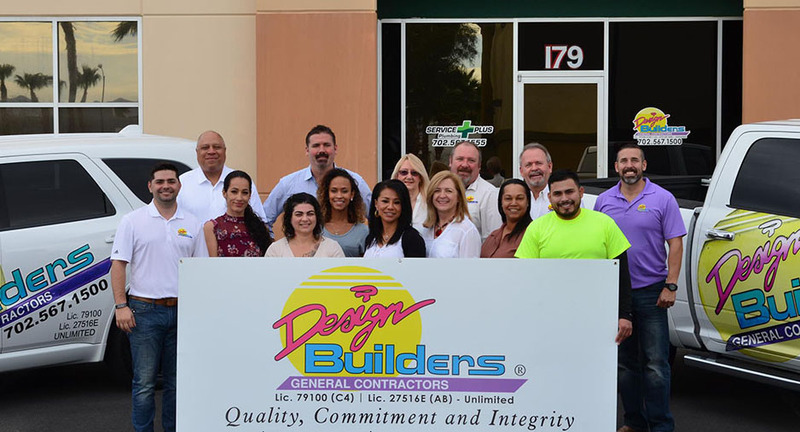 From new construction and remodels to insurance restoration and tenant improvements, you can rely on Design Builders for all of your construction needs. The leadership team at Design Builders worked closely with our staff and architect prior to and throughout the duration of construction to ensure that we had an end product that we were going to be satisfied with. Due to the fact that our project was tenant improvements to existing buildings, Design Builders demonstrated flexibility during construction, as we needed to amend plans due to onsite obstacles. They were able to accommodate the changes that needed to happen while maintaining to stay on a tight deadline. Let me first be brutally honest in saying I was genuinely worried about how this store would turn out, next let me say that I am extremely happy with the work Nick and his team did. The most impressed I am is with the storefront solid surface, no one coast to coast has been able to do a clean storefront with zero holes or seams showing in the solid surface like you did! Well done Nick & Brad!! !